David noticed some buggies parked not too far away. He said we should go over and see what they have found. I'm glad we did because there were three bears. There was a big bear in the distance. Between him and us were two smaller bears, one on our left and one in front of us. The one to our left took off at a slow run. The other one looked at the one running and the big one, and then started to walk towards where we were parked. He kept looking around at the big bear. He walked right up to the buggy and crossed the trail in front of us. Amazing! David noticed some caribou tracks in the mud so we all had a look at them. When we came to the next group of willows, David spotted a white Arctic Hare crouched down in them. David explained that when a hare stops and doesn't move, it thinks we wont see it. Without snow on the ground, it was easy to see. We stopped at another pond where, like before, there were some Green-Winged Teal Ducks. David was always looking around and he spotted the mother bear with her cub. Then he saw a caribou come up and stand on a small hill just beyond the bears. The adult bear saw the caribou and started to run. The cub followed her. That must have scared the caribou because it started to run parallel to the mother and her cub. They were all going in the same direction. 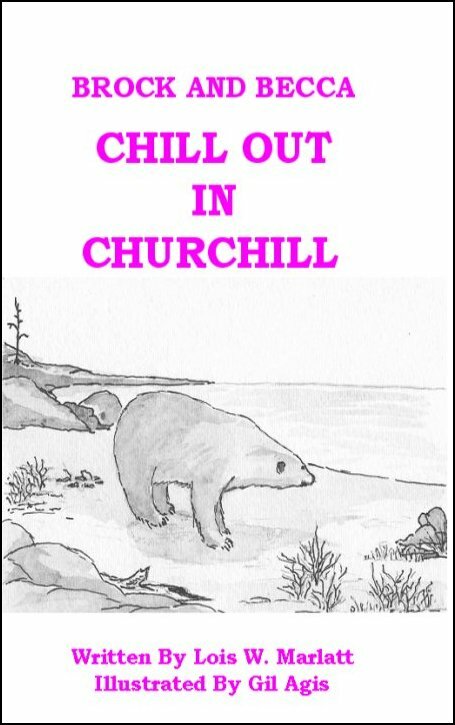 Brock and Becca traveled to Churchill, Manitoba on the shore of Hudson Bay. It is the polar bear capital of the world. There are more bears in that area than anywhere else. The bears and the wolves often come into town looking for food, so there are people with guns protecting the town. If a bear won't leave, they put it to sleep with a tranquilizer gun and when it wakes up, it is in the bear jail. Brock and Becca went on a dog sled ride, and Brock went out on to the tundra in a buggy with his dad. It was there he saw at least a dozen polar bears. The children enjoyed the natives' 'tall tales' and what they learned about the animals living in the area.